Dear Coconut Mama: From the research I’ve done, coconut farmers and workers are highly exploited due to the growing demand for coconut everything. I have been searching for an organic refined coconut oil (would like to get away from the coconut taste on occasion) that is certified Fair Trade or Fair for Life. Any suggestions? I just read an article on Dr. Bronner’s and Kelapo coconut oils. Both fair trade certified and listed as 2 of the best in quality. Demand for coconuts is going up 10% per year, but farmers are struggling to keep up with the demand because coconut trees are mono crops (the sole crop grown on a farm year after year), and they yield fewer and fewer coconuts as they age. Most farmers sell their crops to middlemen, who turn a profit by selling them at a higher price to factories. Less money means less investing back into the farms and planting new trees, which then take five years to produce yields. Because of this, the National Anti-Poverty Commission estimates that most farmers live below what the U.S. considers the poverty line. While fair trade oils are typically more expensive than non-certified oils, we decided we’d rather pay a little more for transparency and a guarantee that our money is trickling all the way down to the people who farmed the coconuts. With that in mind, we ordered all six oils in their standard sizes (generally 14 to 16 ounces, with a few outliers) to assess them in person. Can LouAna be used as a carrier oil for a muscle rub? I need to know if you can buy pure coconut oil at Wal-Mart and places like that? Yes, I’ve seen coconut oil at Walmart. My favorite coconut oil is virgin, either cold-pressed or centrifuged. These methods use the smallest amounts of heat, which results in very pure oils. When I visited Bali two years ago I saw how it’s made the traditional way and it’s amazing. The coconut oil that I took back home with me lasted me for a year. No, coconut oil doesn’t need to be refrigerated. I use coconut oil on my skin almost everyday! When I first started using it, I bought an organic brand from the grocery store, but it was super greasy and just sat on top of my skin. Now, I use The Glow Co Beauty brand of coconut oil. My skin absolutely loves it! It absorbs right into my skin, and keeps my dry areas smooth. It’s 100% organic, cold pressed, and unrefined. It’s a little pricey, but totally worth it! It’s the best coconut oil that I’ve used for my skin this far! Do it matter if its cold press? Cold pressed, virgin organic coconut oil is best! Hi, I was reading recently about trying to find cruelty free brands of coconut products. These would be suppliers that don’t use monkeys to pick all their coconuts, these are usually monkeys taken from the wild and kept in bad conditions, treated badly and made to work for extended hours every day. I cannot find information on the back of products to say too much about their origin, do you know of any brands that are ethically better than others? I would appreciate it, if you could also let us know which brands that come in cans, are BPA free. BPA is an endocrine system interrupter. It is in so many products and containers. No point in buying beautiful organic coconut milk if the can is lined with poison. Hello … I do have a question …. I want a coconut oil that I may take by mouth every day. What would you recommend? How much should I take to get relief from arthritis? 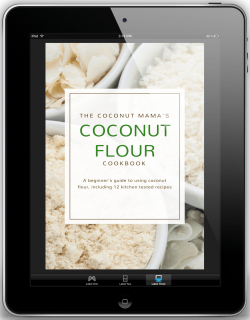 “Coconut Mama,” I just discovered your site, and I love it! Thank you so much, your information was more than helpful… we are switching over to coconut oils and I was going in blind! I need to know the best type of coconut oil to get rid of “daddy long legger” spiders. I saw on public television that they hate it and won’t come back if sprayed on their webs or favorite places in your home. There are so many types-I need the one spiders hate. During a recent trip to my local Costco in Houston, I noticed Nutive organic, refined coconut oil for $16.99 for 128 oz. That seems like an incredible deal to me! Incomparable with Trader Joe’s, Amazon, etc…. Hi! I am very new to the coconut oil uses. I bought a container of Crisco pure organic coconut oil. The label says it is non GMO verified. I keep seeing the articles about the extra virgin organic coconut oil. Can you tell me the difference between the two products and how they should be used? I am fair skinned and am very sensitive to skin products, especially on my face. I do love to eat coconut and love the smell of it too. Thanks in advance for your help. If there are websites you would prefer I use to find out this information, I’ll be happy to check those sites. I would just like some guidance about this. 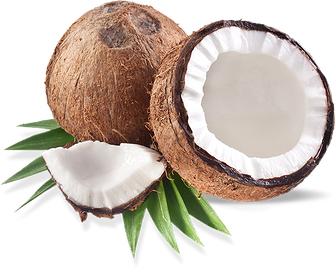 I love the coconut oil.It has many types but i like the original coconut oil.It is used in all kinds of baking and healthy. I used this oil in baking. Thanks for sharing. Have you ever heard of cold expeller pressed coconut oil? Publix supermarkets have organic coconut oil labeled cold expeller pressed. I keep searching the internet to find out what this means, but still cannot find the answer. Cold pressed coconut oil means that the coconut oil was pressed using a mechanical method; however, unlike when normal processing is done, no high temperatures are used during the pressing process to help the coconut oil retain its natural healthy nutrients. When a coconut oil is cold pressed, the temperatures during the pressing process never exceed 120 degrees Fahrenheit. I’m often talking about coconut oil around here. I use it for baking. I use it on our skin. My favorite lotion bar is made from coconut oil. I highly encourage eating coconut oil.I want buy coconut oil online.Thanks for sharing. I am too much confused that which coconut oil is real.After going on many sites i was still confused that every person has different thinking about COCONUT OIL.After visit this site my problem has been solved.Now,i can choose original coconut oil for me.Thanks for sharing. I use Nature’s Way and am happy with it. It tastes like coconut and the texture is nice and smooth. I’ve tried Nutiva and was not impressed. Love Nature’s Way much more. Thank you for your article as we love using coconut oil. Trader Joe’s makes a good organic virgin coconut oil. Cold pressed and unrefined…. Yep! And for like, $5 (depending on where you live). I have been buying Extra Virgin Coconut Oil from Tropical Traditions and really like it. Thanks for the breakdown! For years I have used Tropical Traditions virgin coconut oil and love it! I agree that Nutiva and Tropical Traditions virgin coconut oils are great! Ive used both. Ive noticed my hair and skin are so much more healthier. This week the Sprouts store I normally purchase the Nutiva brand was out of stock. I was at a Trader Joes and bought their brand of extra virgin cold pressed. Q. Is that a good brand that is as effective? After tons of researching, I found carrington farms was listed at 2nd, behind nutiva I think. I had been using the swanson brand but had started looking at what was considered the best. I just received my carrington and am very happy. It had a stronger taste than the swanson’s. I’m really not sure there is a best brand, but I would never buy mine from walmart. But as long as it is unrefined, cold pressed, organic, and virgin, I think they would all be similar. Is organic unrefined the same as virgin ? I purchased 100% pure 92 degree coconut oil from Bulk Apothecary. Is this a good type? Tropical Traditions all the way!! I have tried a few different brands and have settled on Garden of Life Extra Virgin Coconut oil..I like the flavor and it works well for me. I agree. This is the only brand that I use too. I’m a little surprised that it wasn’t mentioned in her list. Hello! My coconut oil says it is virgin but at room temperature it is liquid. I live in Cancun México so we have a very humed and hot weather, it shouldn’t be liquid at a room temperature? Room temperature in the United States is 73 degrees Fahrenheit. In Mexico it is about 75-80 degrees Fahrenheit. Once coconut oil hits 75 degrees Fahrenheit it starts turning into a liquid. I cannot stand taste of coconut oil. It’s just too strong for me. Anyone know a good cold pressed refined brand that i can buy? I use Lou Ana from Walmart. It doesn’t taste like coconut but it said it’s 100% coconut oil. I’ve been buying Carrington Farms Virgin Coconut Oil and liquid coconut oil. I also buy Simply Organic brand. I truly wish I had discovered coconut oil 30 years ago. Don’t you worry about it being in a plastic jar? Tropical traditions and Nutiva are my favorites as well! I’ve had great success cooking with both as well as using them for my skin, hair and nails! I feel that they are excellent quality! However, we just got a new brand in at the health food store I work, it’s the “Ziggy Marley” version in a glass jar (love that!!!) and its cold pressed. I’m going to do some research before purchasing but I’m intrigued! I love Dr Bronner and Nutiva. I like that Dr. Bronner is a very clean company. I love Nutiva as well but will only buy my coconut oil in glasses and Nutiva sells in both. So if I find it in glass I buy it. Earth shift products carries a good oil. I buy by the gallon. I’ve bought from Tropical traditions, mercola, etc.like earth shift the best so far. I haven’t been using coconut oil for long still learning but the first brand I bought and tried is Better Body organic coconut. I’m not a big organic food buyer but this was priced very well and so I bought it and love it but can’t find it at my Sams club any more. It is cold pressed, 100% coconut, bottled in the USA. Have you heard of this brand? That is the brand I use. I ha e used it for over 2 years. I love it. I buy it from Sam’s also. Sometimes it’s hard to find it in the store since they move stuff around so much. I would ask someone. You may also be able to check there app or website to see if they have it in stock or can order it. I saw that Walmart had the same brand the other day but it’s half the size but the same price. I use Dr. Bronner for oil pulling, cooking, and to put in my morning coffee. I use LouAna for body and hair. I use Trader Joe’s organic virgin coconut oil for $5.99 a jar. Hi Thanks for the article. Just wanted to add something else to watch out for in Coconut Oil and that is cold pressed or no heat added oil if you want the full benefit of the properties of a coconut. We are the manufacturers of Coconut Oil in Tonga and have learnt that to make the best oil possible we need to avoid all heat in the processing. There are a number of producers who claim cold pressed however they do add some heat. The reason most producers use heat is to extend the shelf life. By removing any water content in the oil it last long as that it is the water that makes it go rancid. We are working on a filtration process that will remove even more of the water than we already do without adding heat. You may just be misinformed in your belief, I know theres a lot of misleading info on the internet, Ive done some extensive research. And This article I feel represents the ABSOLUTE TRUTH REGARDING COCONUT OIL AND THE BENEFITS AND THE DIFFERENCES in the production of it. I also have purchased Sam’s Club Omaggio brand USDA Organic Refined coconut oil in a 56 oz., for $11 plus. I’ve been very pleased with it. It does, however, come in a large plastic container which can be transferred to glass jars. If anyone has any information on this brand, please post. I was going to buy Costco brand but found it very cost prohibitive for my budget. I have been using Tropical Traditions Virgin Coconut oil for a few years & like it best of all. If I run short I before my next order arrives I will get the cheaper virgin oil at the store. I use 2 TBL. of coconut oil in my oatmeal every morning & use it for frying things also. I buy mine in a gallon bucket from Bulk Apothecary.The brand is Nature’s oil on the label and says coconut oil 76 degrees. The label says its 100% coconut oil. Is this a good brand? I would dearly love to continue using my coconut oil, as I like it. I have been put on the heart smart diet, and am supposed to have no saturated fats. Is there anyway I can still use the oil? Thanks for the info. I would like to mention that I try and buy coconut oil sold in glass jars as opposed to plastic containers. I am concerned that some by-products in the plastic may transfer into the oil itself over time. I have always used Nutiva virgin coconut oil because that’s what I have the easiest access to, plus I can get it for a great price when it goes on sale. My absolute favorite way to eat it is on sweet potatoes- there’s just something about that combination that is delicious! My mom loves this candy recipe I make with it which is similar to a mounds bar- she is always asking for more coconut candy! What’s great is that it’s actually a healthy dessert. The ones at the store have vegetable oil in them- how is that coconut candy?! I really like Wilderness Family Naturals Centrifuge Extracted organic virgin coconut oil. It has the best flavor of any that I have tried. I think my husband just purchased a brand that may not be good. He got it at SAMs. It’s called Omaggio organic refined coconut oil. Can you tell me if this is a good one or just hohum…I normally buy Spectrum refined but he saw the price and brought it home, please advise. I enjoy buying mine from Carrington Farms, which I typically order thru Amazon. I didn’t realize that there was no real difference between Virgin and Extra Virgin coconut oil. Thanks for the info. I use Trader Joe’s organic virgin coconut oil. I’ve used Tropical Traditions for years. And I usually wait to order until it goes on sale & why I enjoy getting emails from them. Free shipping is always a good ’email’ to get also. I also use Tropical Traditions. Did a lot of research and feel they are a reputable company. Love the products and wait till I can purchase on sale and many times get free shipping. Win win for me! I use Nutiva, both refined and unrefined (prefer the unrefined), but I stay away from Tropical Traditions, due to information I couldn’t verify as true or untrue from an individual who had done her research and could not support them as reputable. I found Spectrum to be horrible. My local grocery store carries Carrington Farms, which I’ve seen listed as a reputable product, and have found it to be consistent. I used to get Nutiva Virgin Coconut Oil at Costco. Now they only sell their Kirkland brand. Since Kirkland is usually a stand in for another brand, do you know who Costco’s Kirkland brand is using? I’ve been trying to find out the same thing Karen. We used to have the Carrington Farms coconut oil at ours. I really liked it (I used to use Tropical Traditions and found it just as good or better). Now all ours carries is the Kirkland. I email Carrington Farms but got no response. I don’t know if they are allowed to say. Sure would like to know. I haven’t bought any of the Kirkland yet to try it. I would prefer to research it first and know what I’m buying before I buy it. I’ve used both Tropical Traditions and Nutiva….I think they are both great, but I buy Nutiva due to the price and free shipping on Amazon Prime. I use Vitacost’s cold-pressed coconut oil and am very happy with it. The price is excellent! I use and highly recommended Barlean’s virgin coconut oil. It is by far the best coconut oil I’ve ever used. I make my salt scrub out of it and use it on my skin every other day (by my dermatologist recommendation). Thank you for this info. I love coconut oil & use it for many things. My daughter & sister took my advice and used it on their dogs dry skin. Worked magnificently. Use for cooking, best eye makeup remover & many others. ?